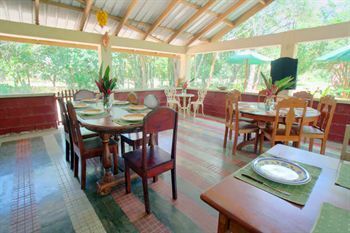 Midas Resort "Our Belize Vacation" - "Our Belize Vacation"
We offer an exciting holiday in a rainforest setting within a 7 minute walk from the Town Center of San Ignacio and a 30 minute walk from Cahal Pech archaeological site. 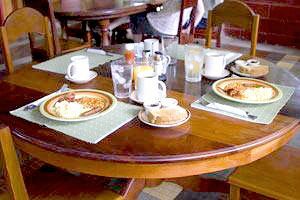 We have the family atmosphere to make your stay an enjoyable one. Midas Resort has many types of local birds and the closeness of the river at the back of the property helps attract wildlife as it flows by on its route past San Ignacio and joins the Mopan River from Guatemala. 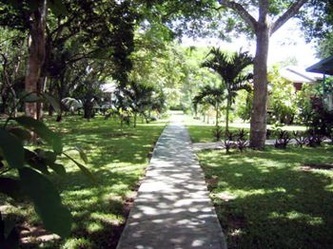 The flora surrounds the cabanas, with outstanding trees that add to the beauty of the surroundings. Squirrels and Iguanas are seen in the tree branches whilst humming birds flutter from flower to flower. We believe we are surrounded by nature at its best. At Midas Resort we are at your service and we understand that it is your holiday and our goal is to make your visit one to remember. Come and stay with us and experience the close family atmosphere of a business which is family run and a resort that truly looks after you. 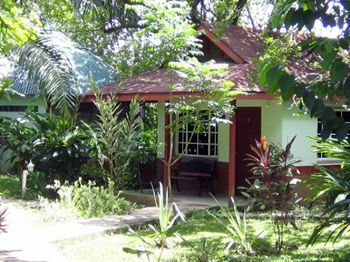 When you are with us at Midas Resort you stay on the outskirts of the town, enveloped by the scenic beauty of the natural rainforest setting. 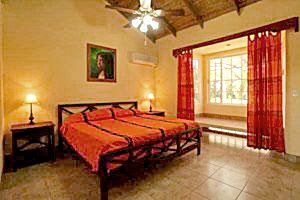 We can help you to plan your tours and we offer local advice that enables you to make the most of what San Ignacio has to offer. 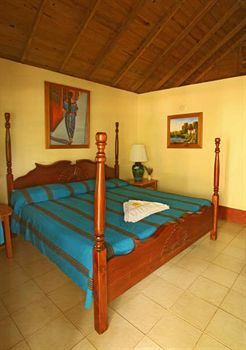 We want you to experience Belize and we want you to enjoy the wonders that this small country has to offer. We look forward to meeting you and we will make you feel a part of the family. We hope to see you soon. 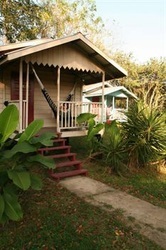 Our cottages are cool and airy with screened windows and corrugated iron roofs. They have lighted walkways and areas with shaded hammocks, the perfect place for an afternoon nap or just a relaxing day. Inside you will find double beds with ceiling fans and air-conditioning. 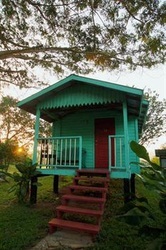 Our wooden cabanas are designed to envelop you in a cool tropical setting. They each have private verandahs and hammocks which offer a great place for reading or resting. Inside you will find beautifully treated wooden floors with varnished pine lumber walls, and double, queen or King beds, with fans, air-Conditioning and screened windows. Our suites will welcome you with some of the finest tiles in Belize. That was uniquely designed by Maria and Michael her son. Relax at the open bay window bench and take note of the local birds. 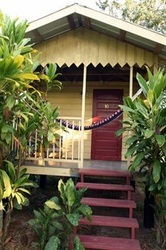 Take a siesta on your very own private verandah in a handmade hammock. Most of all sleep on this superb bed fit for any King or Queen. 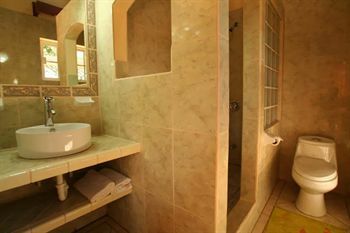 Our Family Cottage has two large rooms in one, with a door in-between the room; one side of the room has a Large King Size Bed with TV, air conditioning, private bathroom. 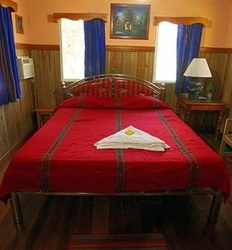 The other room has two double beds and a single; air conditioning, TV, and private bathroom. 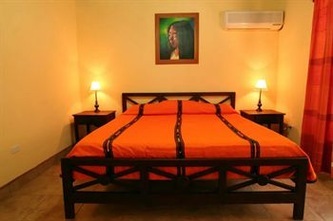 Extra Bed can easily fit making a maximum of eight people at no extra charge. 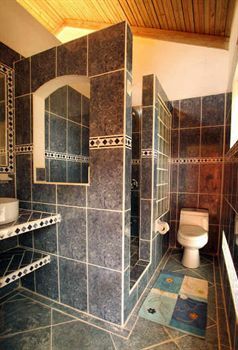 The two bedroom fully furnished green house has a fully equipped kitchen with Fridge and Freezer, Cooker, and Microwave, Breakfast Bar, Living room with cable TV and wireless internet throughout the building. Great little spot for long term stay yet benefit all features of what the Midas has to offer.